While Android malware can be devious, often there are signs and symptoms of its presence. It’s up to us to be aware of what those might be and to take action to protect our phones. Keep in mind there can be differences between Android operating system versions, so you may need to look around for the proper settings when following these tips. Malware may leave some telltale signs on your device. Be on the lookout for these issues. You’re blasted with ads: Ads are a fact of life on the internet, but be wary if you notice unusually invasive ads or seemingly random pop-ups. This could be a malware indicator, or it may be a browser hijacker. The battery is draining too fast: This can be a symptom of multiple possible problems. You may have a legitimate app that’s battery-hungry, or your battery may be past its prime. But it might also be malware working away in the background. Data use spikes: Some malware apps have been known to use up your internet data. You may notice a curious jump in data usage even though you haven’t changed your phone-use habits. 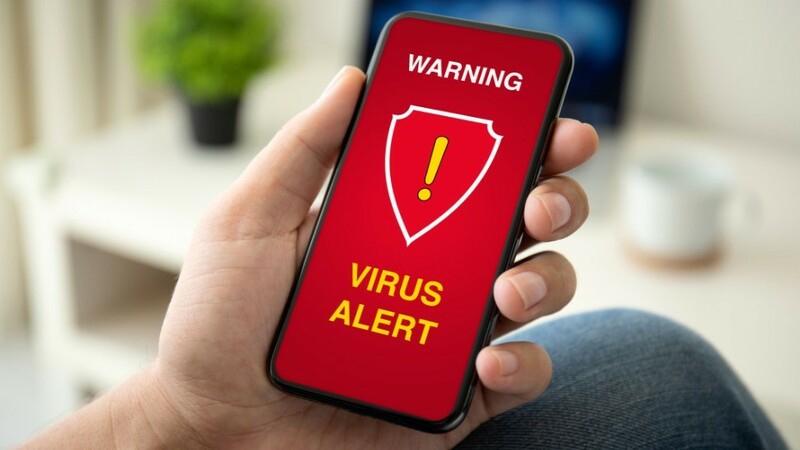 An unexpected app appears: If any of these previous symptoms makes you suspicious, then you’ll want to take a look at what apps are installed on your phone. Head into Settings, tap on Apps and expand the list to see what’s there. Look for any apps you don’t recognize or don’t remember installing. A new tactic is for malware apps to install themselves and then disappear. Those leave a telltale blank spot in your app drawer.